Does the thought of hanging lights and attending holiday parties make you want to grab your sleeping bag and run for the nearest cave? In this empowering conversation, Nurturing the Soul of Your Family author Renée Peterson Trudeau offers practical tips for honoring our natural desire for more rest and relaxation this winter. She speaks to the importance of self-care and encourages us to do things like schedule downtime, say no, ask for help, spend time in nature, and do less, so we can experience a celebratory and deeply restful holiday season. 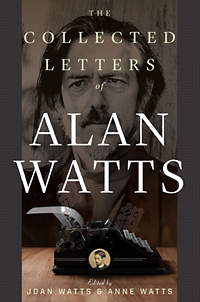 In this brand-new, never-before-published collection, we get to take a deep, personal dive into the thoughts and feelings of one of the Western world’s most beloved philosophers, Alan Watts. His daughters Joan and Anne Watts put together this fascinating archive of letters, newsletters, and other correspondence that covers everything from his early years in a British boarding school to the last months of his life living in Northern California. In the following excerpt, we get an early look at the fascinating interfaith connections Alan Watts was already making in his thoughts and ideas. In 1939, he was just twenty-four years old with a baby daughter (Joan Watts, one of the coeditors of this collection) and had freshly arrived in America after the rumblings of war in Europe became too loud to ignore.